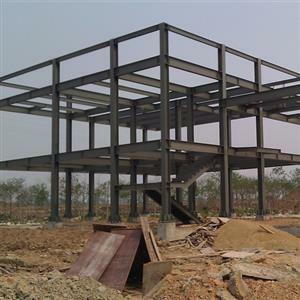 A steel frame is a structural system used for constructing residential or commercial buildings. The steel frame serves as an alternative to traditional wood framing, and offers a number of advantages to both builders and buyers. The metal frame forms a skeleton to support the remainder of the building, including roofing, siding, and other finishes. While steel frame construction has become the most popular commercial building technique, it has yet to become mainstream in the residential construction industry. An advertising billboard (also called a hoarding) is a large outdoor advertising device, typically found in high-traffic areas such as alongside busy roads. It's either supported by a wall, or grounded and supported by one pole (or several poles). The size is an important characteristic. A billboard can be lit in different ways, and might be animated. Commercial Ads steel frame is lightweight and easy to handle (it's approximately one third of the weight of a timber-frame). Steel has none of the additional preservative chemicals associated with timber, an important consideration for the health of builders and tradesmen working on-site. Standard practice is the earth steel framing, making it electrically safe as well as being fire-resistant. 1) Q235 steel is the all billboards frame materials . 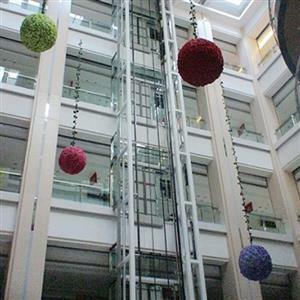 2) a bolt structure, welded structure and bolt ball grid structure. 3) high strength, high shock resistance. 4) resist wind speed 150km / h.
5) ranti-corrosion surface. The surface can prevent wind from worn and keep at high temperatures. 6) Life is 10 years. Steel-framing is a straight and stable product that delivers an excellent finish. The rollforming technology behind steel-framing gives a high degree of dimensional accuracy, enabling consistently straight walls, square corners and an overall superior finish. The exactness that comes from building in this way helps later trades fitting internal linings of Commercial Ads steel frame. Plus the stability of steel means no contraction or expansion with moisture changes, so frames won't warp, twist, sag or shrink, eliminating many of the maintenance issues that create builder call-backs. When building Commercial Ads steel frame, it’s important that your framing is strong, straight and built to last. Made by SBS Steel, Q235 steel is galvanised, high-tensile steel specifically designed for Commercial Ads outside-framing market. Commercial Ads steel frame is exceptionally strong and built for the toughest conditions. It is fire resistant and strong and has been shown to have excellent earthquake resistance. Its durability means that it won't rot or support mould growth and it won't suffer from borer or other insects. It's also galvanised to prevent corrosion when good weathertightness principles are applied to the cladding design and installation. Structures in steel frame are an excellent solution to building commercial property. 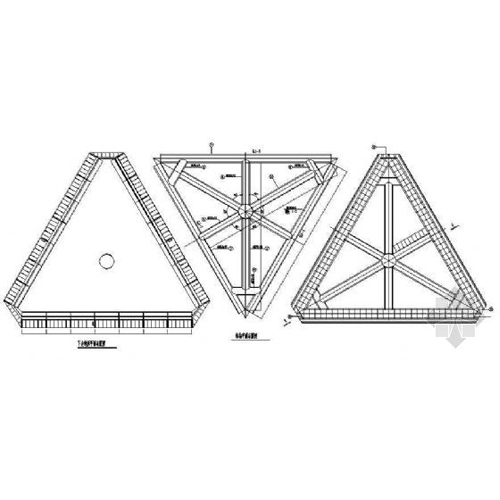 Possibility to create large free spans with steel frame. Flexibility and adaptability of the buildings. Pre-assembly results in less work on site, saving you time and money. SNS Steel is manufacturer of light steel frame construction technology. 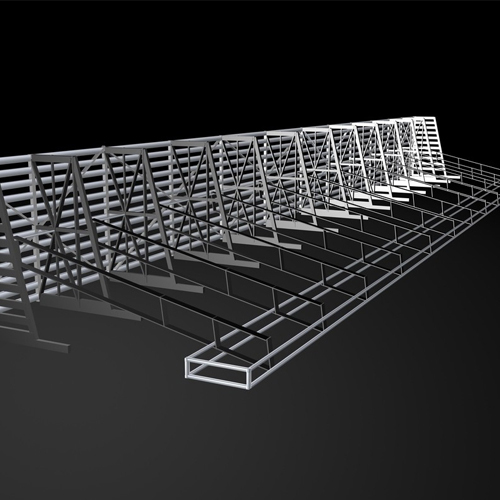 We produce light gauge steel frame constructions that are suited for any type of projects. Residential or industrial projects, topping up, renovation or modular solutions. With our light steel frame technology building becomes fast, easy, and above all cost-effective. Q235 steel is made with consideration for the environment. It is manufactured in New Zealand from locally mined west coast iron-sand and is made with a component of recycled steel. Q235 steel requires no further additional preservative chemical treatment. And because steel-framing sections are rollformed to length there's minimal wastage, reducing the environmental impact from building site waste going to landfill. Steel is also 100% recyclable, again and again, without losing its properties. Safety: We stricly abide by design specifications and regulations by local government,making sure the safety of outdoor billboard. Practical: The billboard structure is designed according to the human body engineering,making the worker's operation more safe,efficient and comfortable.Service doors of the billboard are equipped with dedicated anti-theft screw by independent research and development of SBS. Beautiful: Various speficiations and types for you to choose,we also provide sample making service. Numerical controlled machines make production more accurate and perfect. Affordable: Digital design and management make full use of materials,reducing the cost.Precise calculation maximize the space value.Easy installation,less labor coat. Eco-friendly and energy saving: Our products are hot dip galvanized and can be equipped with LED solar system to save resource.Besides all products can be disassembled and reused, which will reduce resource waste. Airport, station, subway, metro, catering industry, entertainment industry, medical institution, golf course, supermarket, shopping mall, exhibition, stadium and gymnasium, financial industry, organ and enterprise, building adverting and billboard advertising, hotel, rail way station, bus station, lift, bank, Commercial center, wedding photograph, large exhibition, mobile show, chain-store, restaurant, fast-food canteen.